Today Zoë had an open peanut butter and honey sandwich, which means she gets half a slice of bread with honey and half a slice of bread with peanut butter. She likes it open so she can have the full experience of honey-on-bread and peanut-butter-on-bread one at a time, rather than the traditional melding of flavours that is the abomination known as a sandwich. 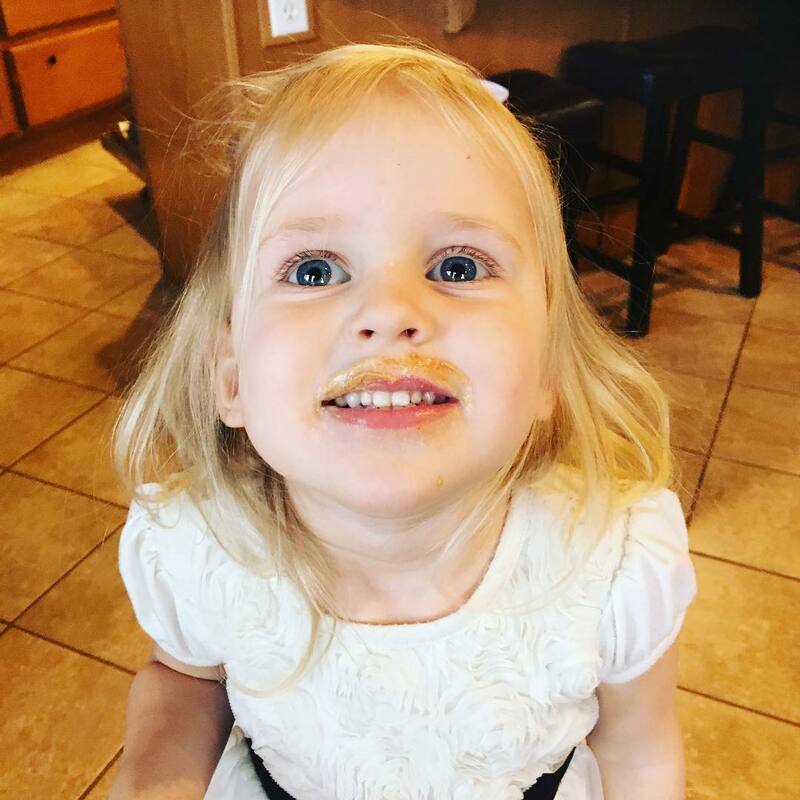 She ended up giving herself a little peanut butter mustache while she was eating and when she showed it to me she said proudly, "Look, Mom! I have an extra eyebrow on my face, just like men do!" And now I can't stop imagining going up to some random men and complimenting them on their "extra eyebrow" (or, perhaps "lip eyebrow"), just to see how they respond.